The best story in baseball keeps getting better. After a busy couple days in this very public spat between the Mets and Matt Harvey over the game Harvey failed to show up for on Saturday, Page Six now has a report that gets at what this kerfuffle actually seems to be about: Harvey’s partying, specifically last Friday. The story as has been presented thus far goes like this: Harvey went golfing sometime early on Saturday, later came down with what he called a migraine, and because of his headache did not show up for the Mets’ game later that day—the key discrepancy between the parties being whether Harvey communicated his absence early enough and through the proper channels. After calling in sick, the Mets sent team personnel over to Harvey’s apartment to check up on him and his story. Before his scheduled start on Sunday, the team suspended Harvey for three games, a punishment Harvey is now appealing. Harvey — who makes $5.1 million and is 2-2 with a 5.14 ERA this season — rolled up on the velvet rope club “with his boys” at about 1 a.m. and settled into a private table, the sources said. The star pitcher threw back a triple play of top-shelf booze, including Armand de Brignac “Ace of Spades” Champagne, Don Julio 1942 tequila and Belvedere vodka, witnesses said. Harvey and his entourage kept to themselves until leaving the West 17th Street club, sources said. Was this so-called “migraine” actually a dressed-up hangover? But Harvey was well enough to play golf before Saturday’s game: Maybe his illness wasn’t partying-induced? And at any rate, are these sorts of late nights on the town and skipping games what manager Terry Collins meant when he said baseball didn’t seem to be Harvey’s “top priority”? Inquiring minds would like to know. 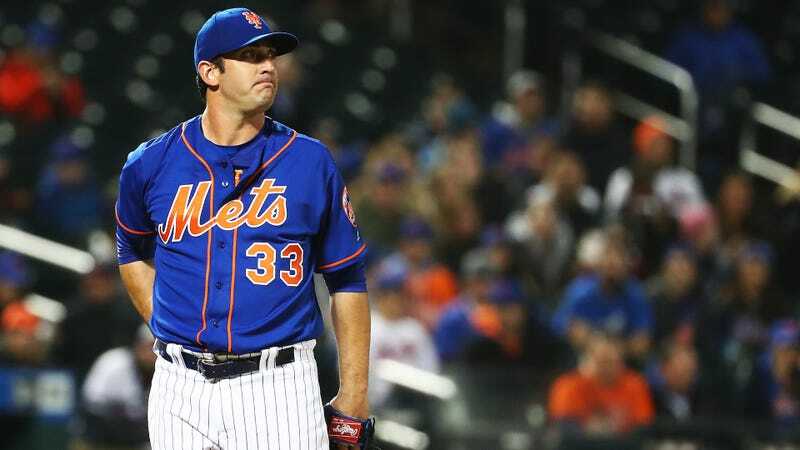 Harvey, 28, has long been a source of contention within the Mets’ clubhouse, with some teammates bristling at his outsized “Dark Knight” persona. One teammate described a “sense of alienation” that Harvey created around himself. God, I hope this beef never ends.